This is the time of year that we end up being cooped up the the house WAY more than we’d like. One way I try to use up some of that endless kid energy is exercise. 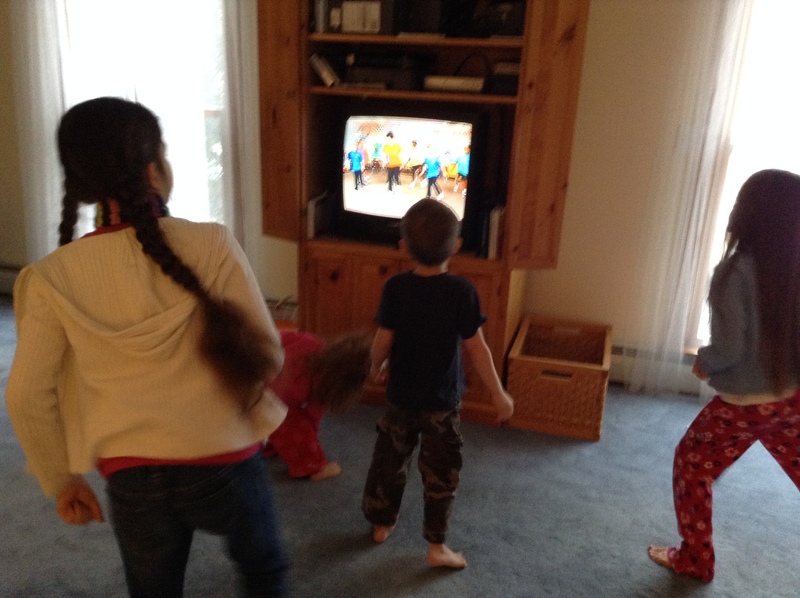 I recently found an exercise video made for kids that has 5 and 10 minute workouts … perfect! 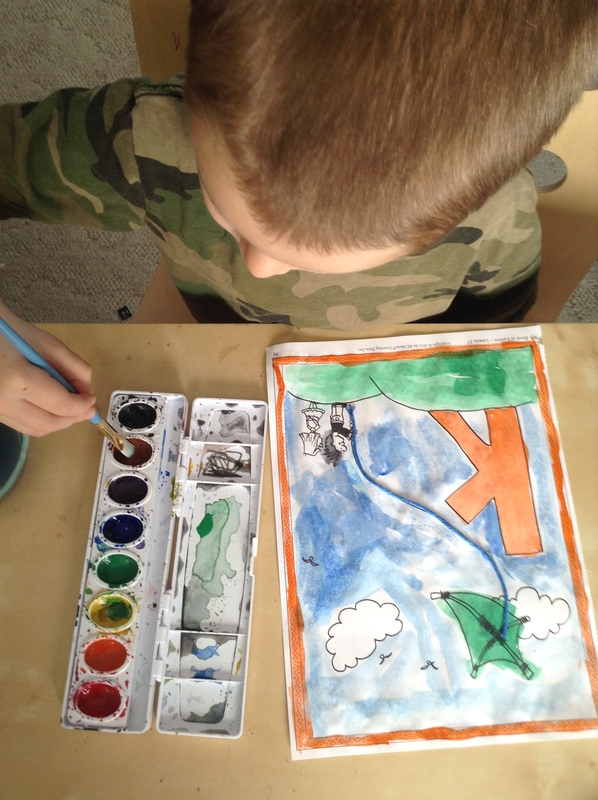 We use this mid-morning to get some movement in and refresh our brains! We’ve had lots of fun in the snow. 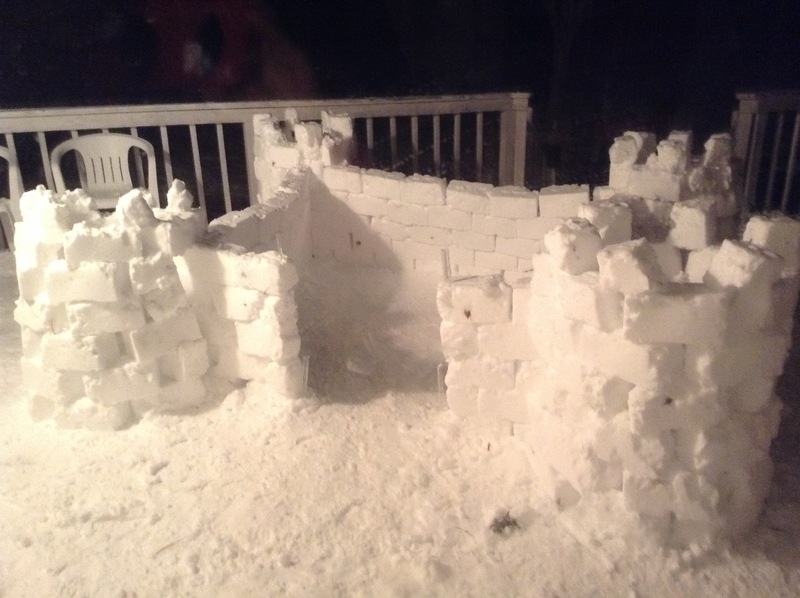 My children made this awesome snow castle recently! And creations are always in vogue here! My older girls have been doing lots of needle felting and sewing. 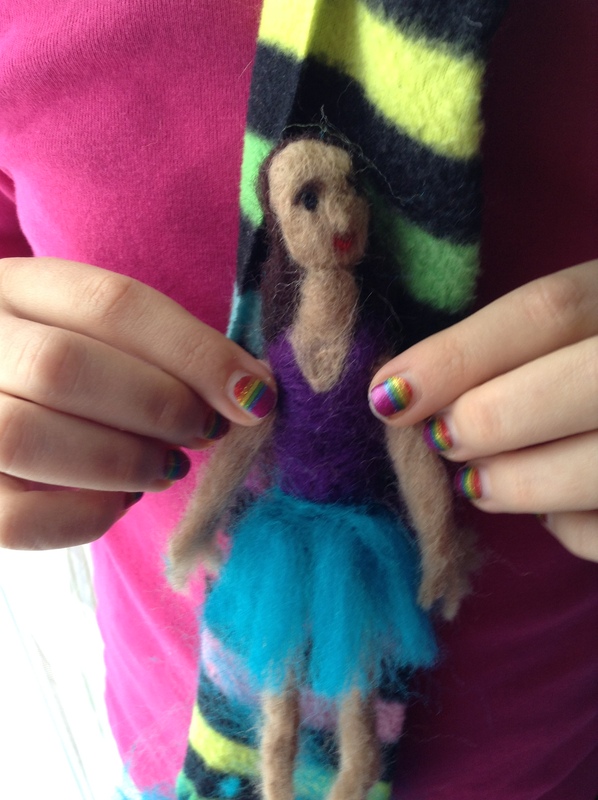 This is my 10 year old’s needle felted lady. She made this out of fluffy wool. 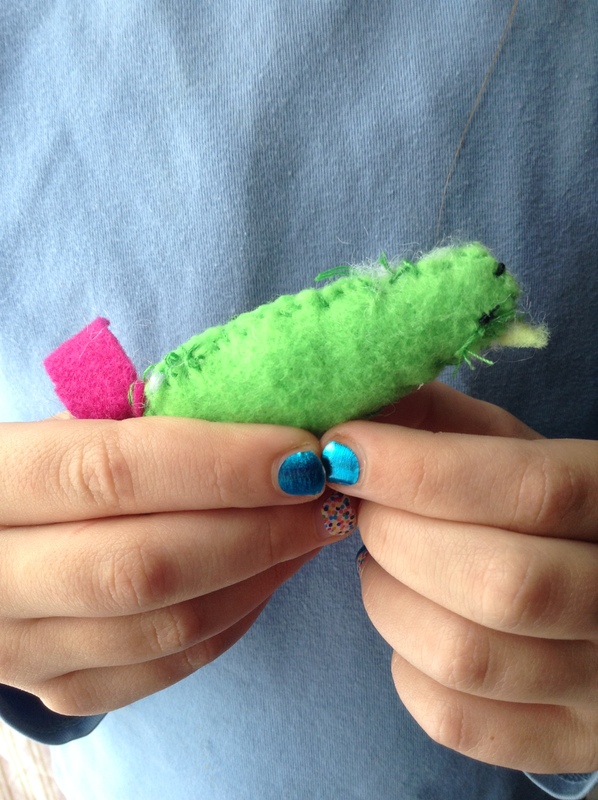 Here’s my 8 year old’s hand sewn felt bird. 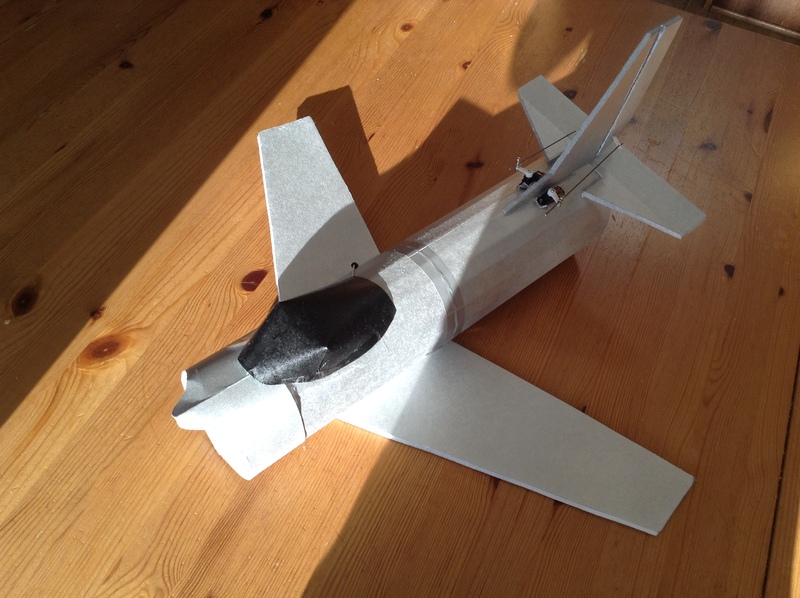 My 13 year old is always continually designing and building R/C Airplanes. 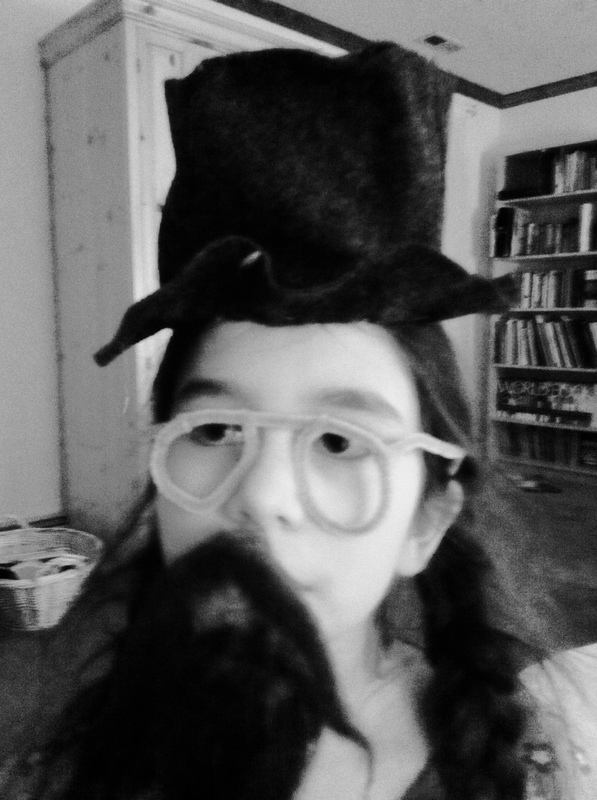 Here’s one of my children in disguise! We’re all looking forward to warmer weather! 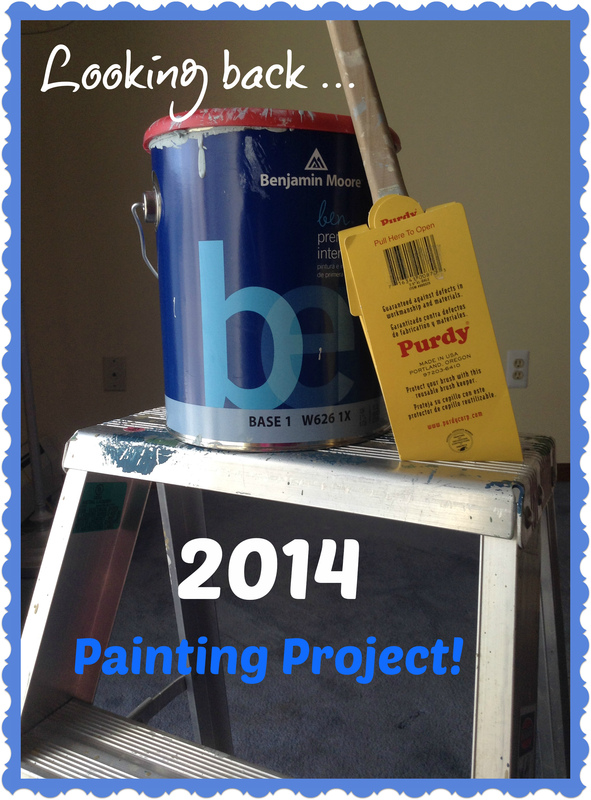 Looking Back… 2014 Painting Project! 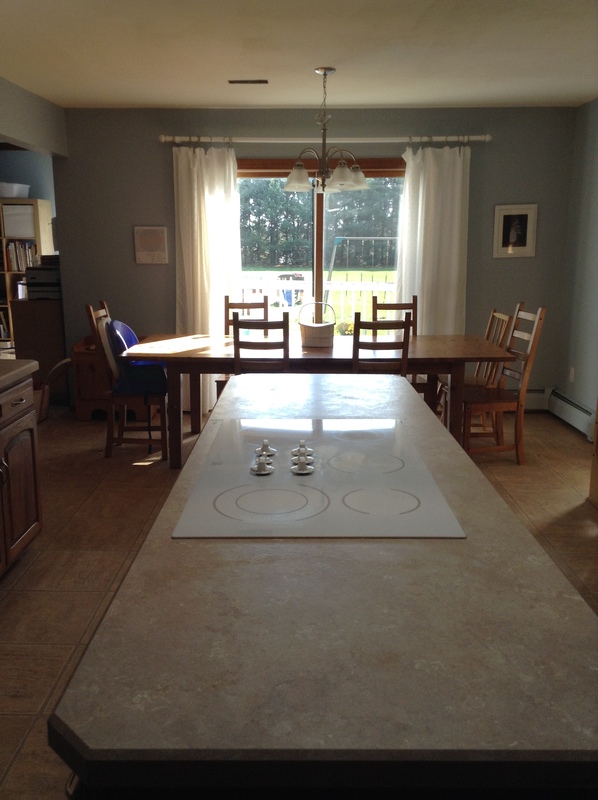 This past summer, I was finally able to begin the long overdue project of painting the interior of my home. I originally was going to just do the entry and front hallway, but once I started, it was hard to stop. 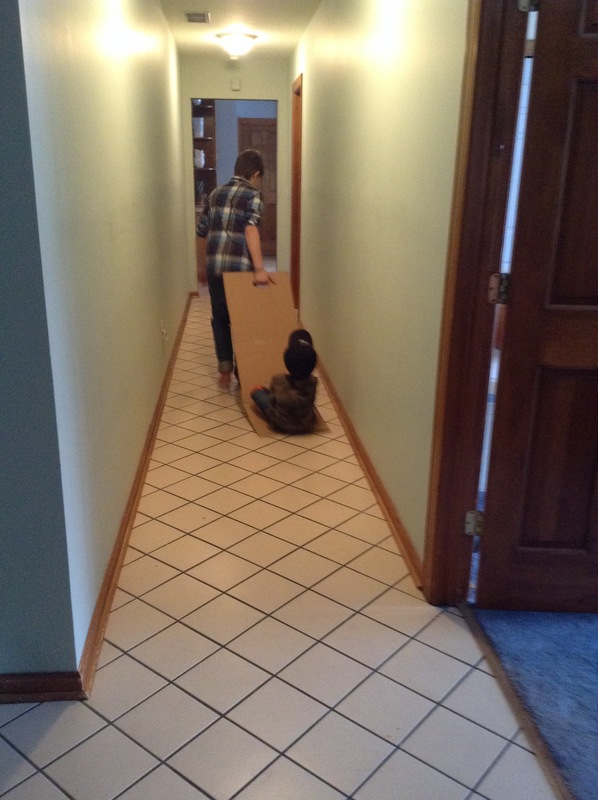 Over the course of about 3 months, I painted our entry & hallway, kitchen, powder room, guest bedroom, living room, music room, boys’ bedroom, girls’ bedroom, family/homeschool room, sunroom, and most of the laundry room. While it took lots of time and effort, the results are very exciting. And I have to give a big thanks to a talented friend of mine who gave me paint color advice, decorating inspiration, and encouragement to keep going. I could never have done it without her. I have never had a decorating bone in my body, but this friend is teaching me, and I think I might actually be learning a little bit! 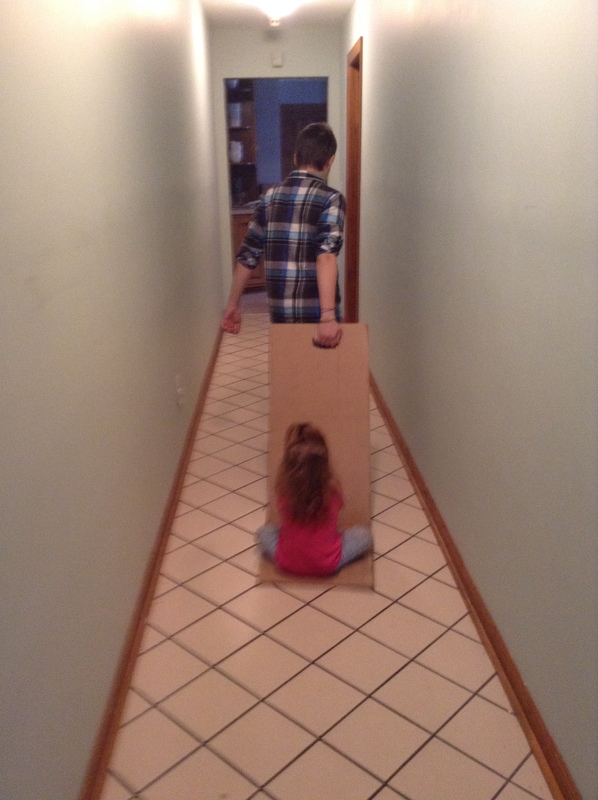 My husband and children also helped out with painting ceilings, taping molding, and cutting in. Also, my dad so kindley changed out several light fixtures for us. I am so thankful for all the help, everyone! This was the first space I painted and I had no idea what color to paint it. 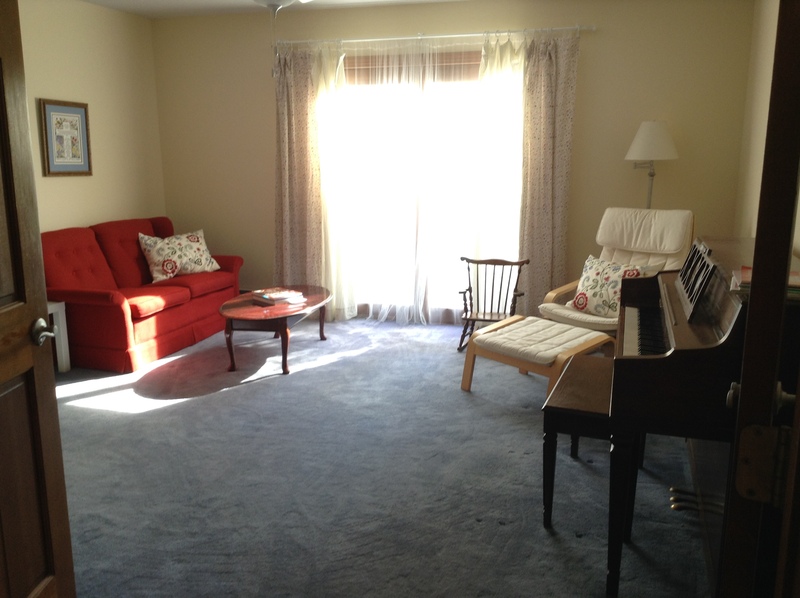 The walls of the whole house were a grayish shade of white, so I wanted COLOR! Around the time I was thinking about what color to use, I visited a very dear friend’s home and just loved the green color that was in her hallway. I never would have chosen green on my own, but this color has been lovely. I painted the inside of the front door white and also changed out the gold color light fixture for a brushed nickel one. (Thanks, Dad!) 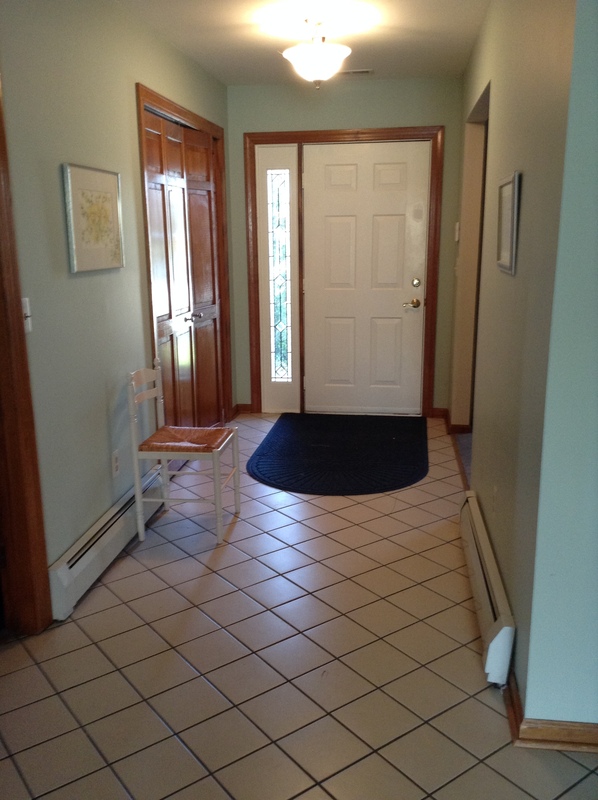 The difference is subtle in the picture, but it has made a huge difference in the entry area of my home. 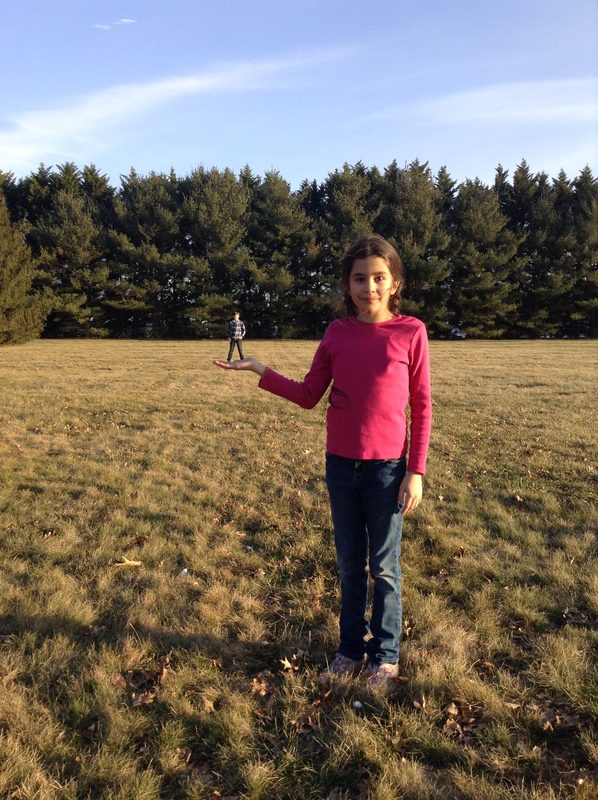 We made lots of changes here! 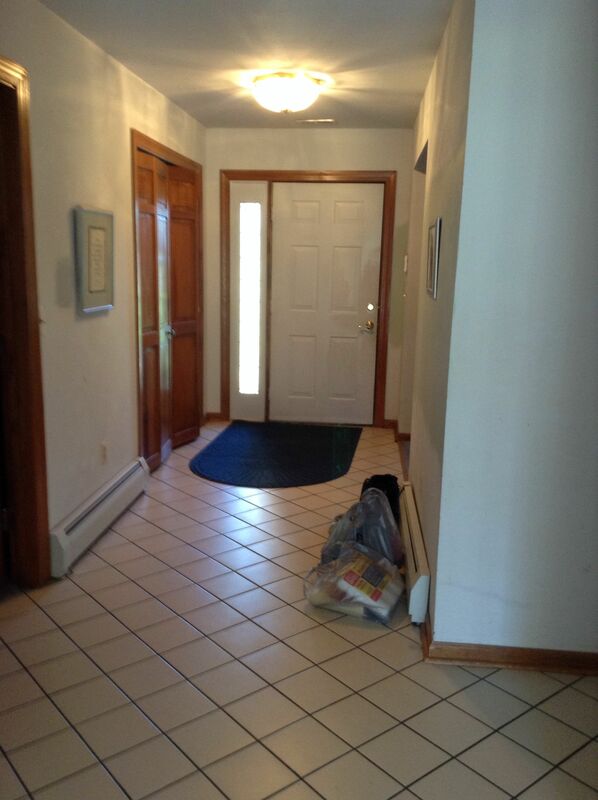 This is the room that you see straight ahead when you walk in the front door. 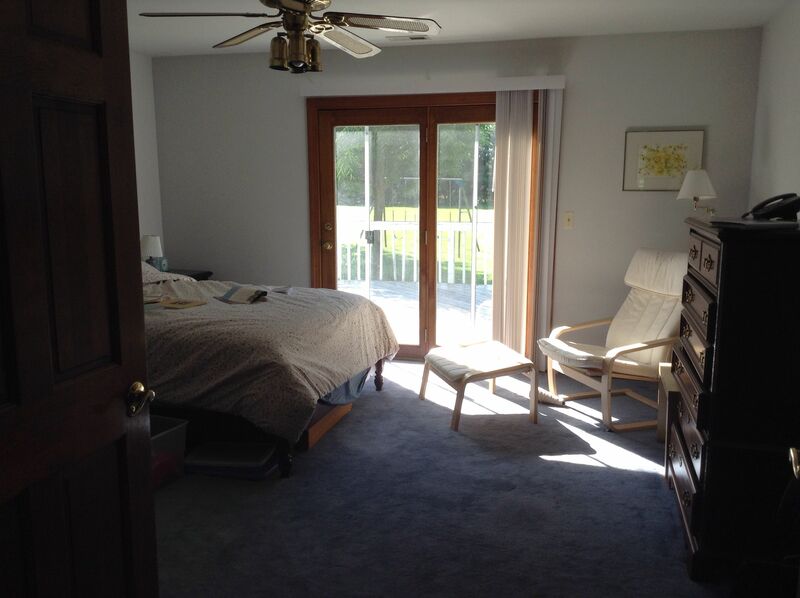 I always thought it was a little funny for that to be a bedroom, so we’ve changed it into a room for piano playing and a quiet spot for reading. So this year I’m planning to paint my bedroom, but that’s not the BIG PROJECT for 2015. I’ll let you know what that is soon! 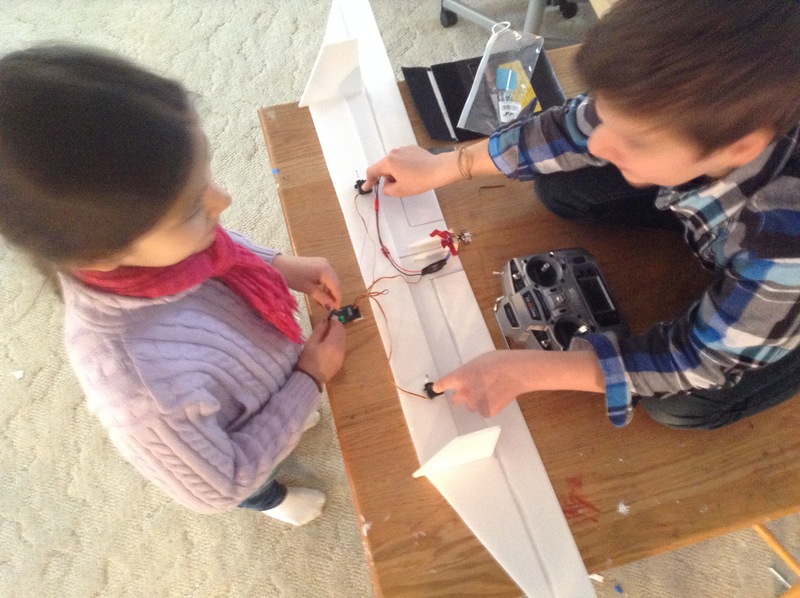 So did you have any big projects you worked on in 2014? I’d love for you to comment and let me know! I want to share a quick thought about a recent sermon I heard at my church. 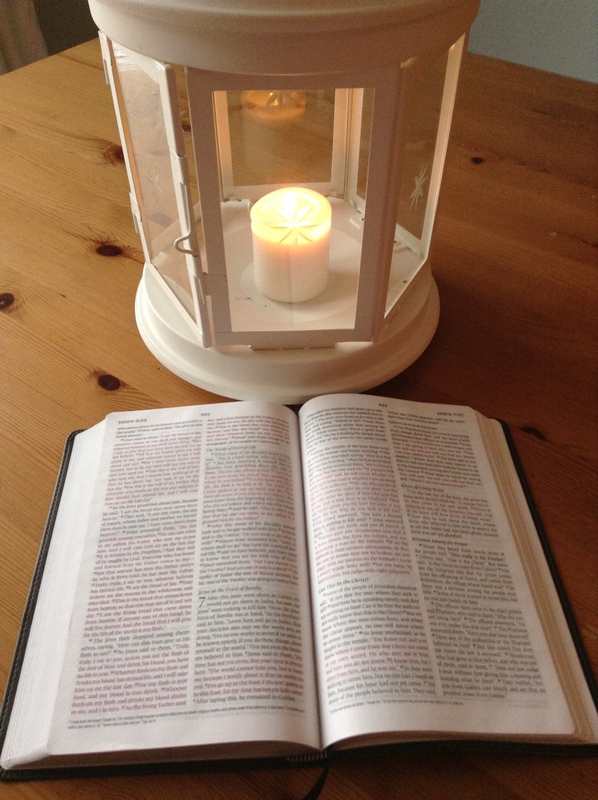 The sermon was called I Have Come as a Light to the World and it was about how Jesus is the one true Light. Some kinds of darkness are painfully easy to see: murder, mayhem, violence. These are obviously all darkness. But what about the darkness that seems like light, but really isn’t? What if there’s a darkness that looks like light, so you don’t even know to be alarmed? Is it possible that you are falling into the trap of “salvation through moral effort” to make you right with God, instead of “salvation through grace”? Abandon all to him! Only Christ’s goodness will save! I heartily recommend The Reason for God for believers and skeptics alike. Keller takes on the doubts people have about faith with kindness and integrity. Another book I heartily recommend, that may help with seeing the true Light, is The Prodigal God, also by Tim Keller. Please feel free to contact me and/or comment to continue this dialogue. If there is one thing that’s important in this new year, it’s trusting in Christ, and Him alone. 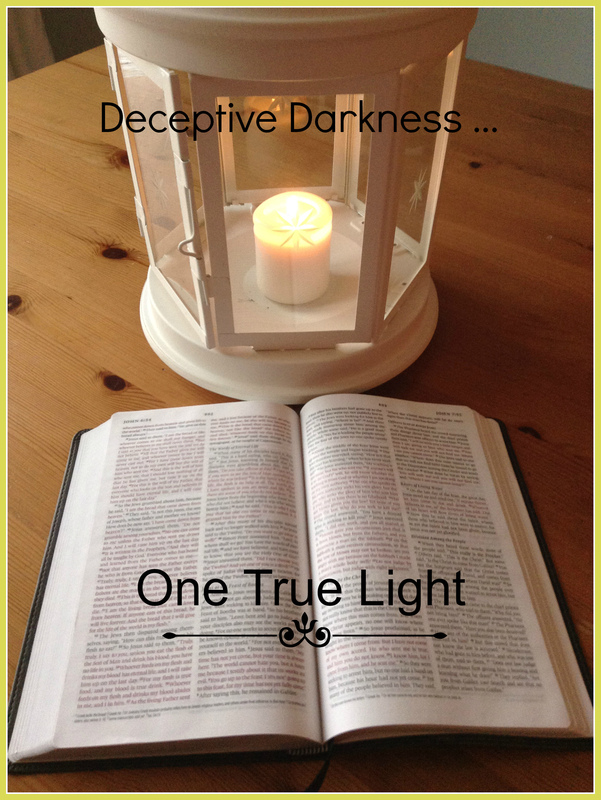 I want you to know Jesus, the one true Light! May your New Year be full of family, friends, but mostly Him! 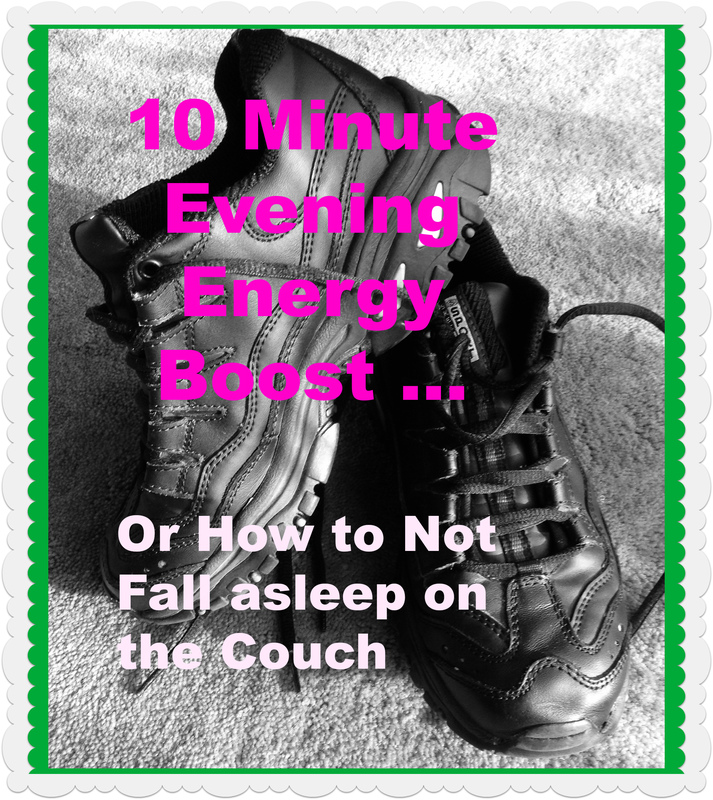 10 Minute Evening Energy Boost … or How to Not Fall Asleep on the Couch! I am a morning person. I love getting up at 5 A.M. However, I am NOT a night person. Not even an afternoon person, really. As I type this at 8:09 P.M., I’m seriously considering hitting the hay soon. In the summer months, evenings aren’t too bad for me. After dinner, I’ve always got a little energy left to get me through to bedtime. But in the past month or two, as it’s been getting darker earlier, I’ve been SO TIRED after dinner. As in, “I can’t stay awake past 6 P.M.” tired. Well, maybe not that bad, but I did actually go to bed at 7 P.M. one night! It didn’t take long for me to determine that this winter was going to be a real struggle if I couldn’t stay awake in the evening. So, time to brainstorm some solutions. Coffee wouldn’t work this time of day if I wanted to ever get to sleep. 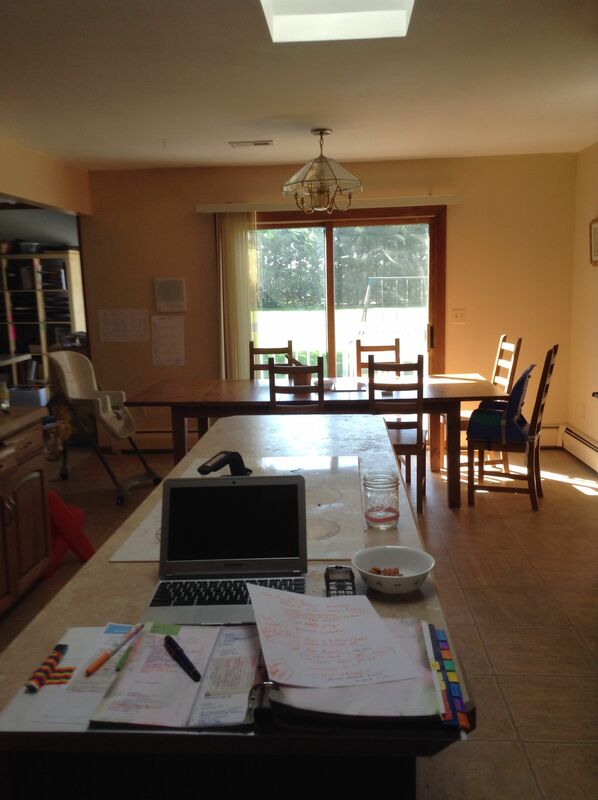 I racked my brain … then, BINGO! Exercise! I’ve been exercising early some mornings, just for 10-15 minutes or so, but had been having trouble fitting it in. Exercise really energizes me, and I considered what would happen if I moved my exercise to after dinner. So, I tried it! After dinner each day, I pop in an exercise video for about 10 minutes and the results have been remarkable. My energy level has been so much better in the evening! And the best part is that I’m not talking about a long exercise session; I’m talking about 10 minutes of exercise, maybe 15. My awesome husband has been supporting me in my efforts by cleaning up dinner with my children while I do a quick workout. 1. 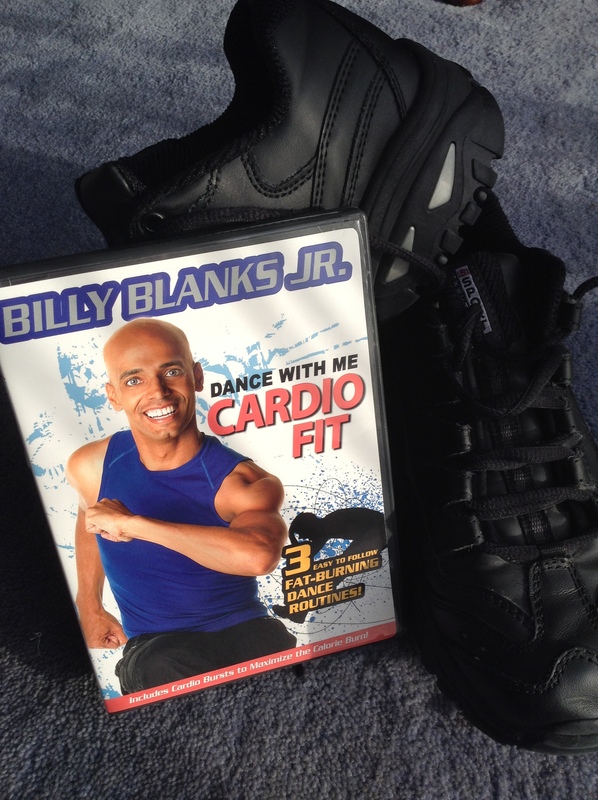 Dance with Me Cardio Fit by Billy Blanks Jr. This DVD has been a friend for a year or so. 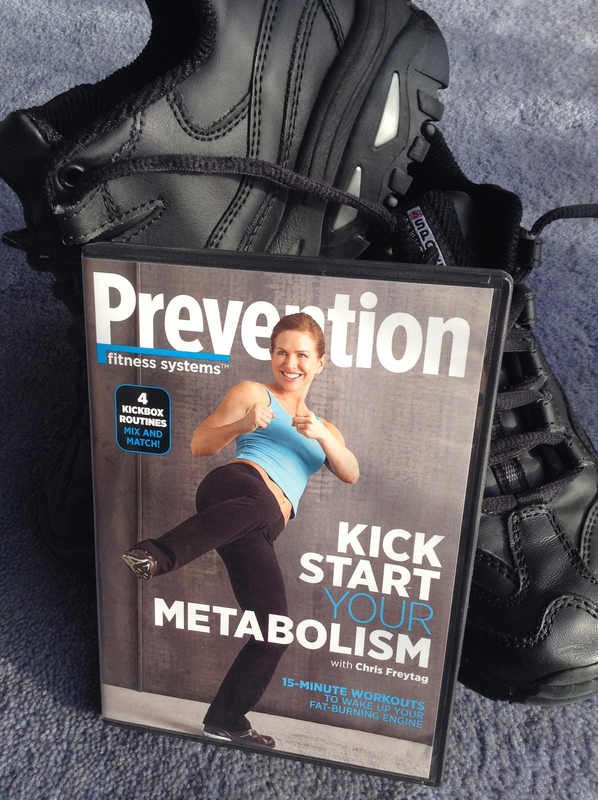 I love kickboxing, and this DVD is a great starting place. The best part? One of the workout sections (my favorite!) is only 8 minutes long! Just that little bit is so energizing. There are so many other options for a quick exercise session too; I just happen to like the convenience of exercise videos. 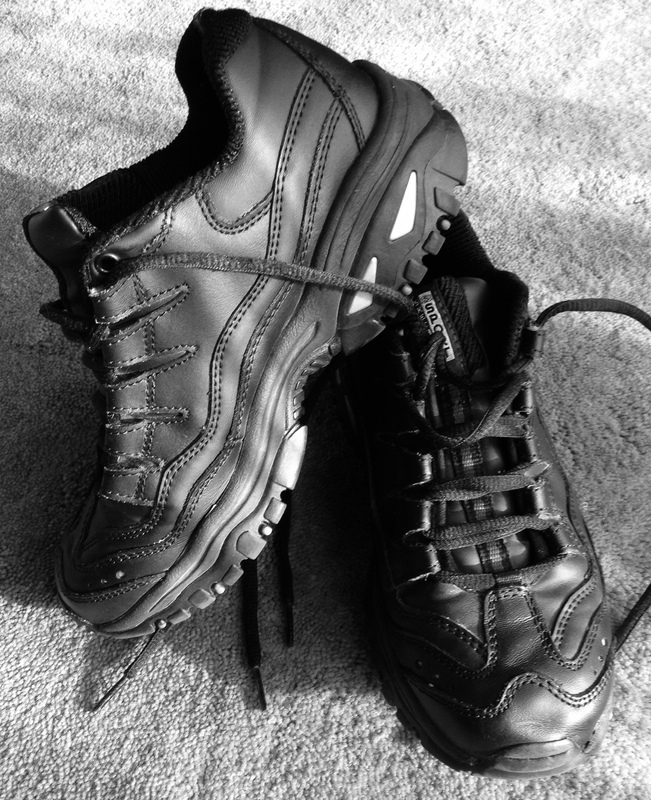 A quick walk or jog, rebounding, dancing to music you love, etc. There’s really something for everyone. And just think, if you do something inside with your children around, they can enjoy watching you flub up the steps … oh, maybe that’s just me! Let me know if a quick burst of exercise energizes you too! I love reading your comments! And if you’re a night owl, maybe a quick workout would be just what you need to get going in the morning. P.S. The links in this post are NOT affiliate links. This is my very first blog post! My hopes for this blog are to chronicle some family adventures, write about projects I’m working on, and also to share things I’m learning in various realms of my life. 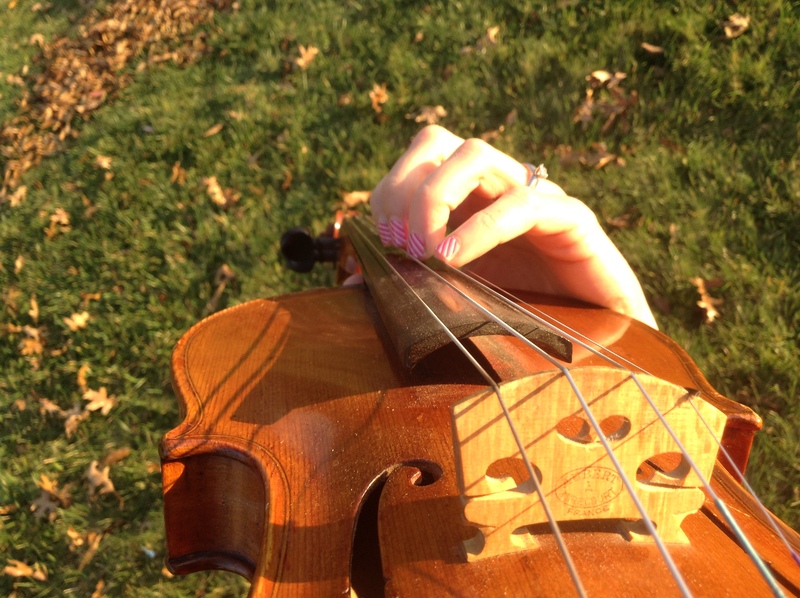 I am a follower of Christ, a wife to my kind husband, a mother of 5 creative and energetic children whom I homeschool, and a violinist (at least when I manage to grab a moment to practice). I also love getting things done. However, it is unbelievably challenging to try and accomplish anything other than the essentials in this season of my life. But I’m trying to focus on one or two projects at a time so I can make some progress in areas that will yield the most reward in time saved. 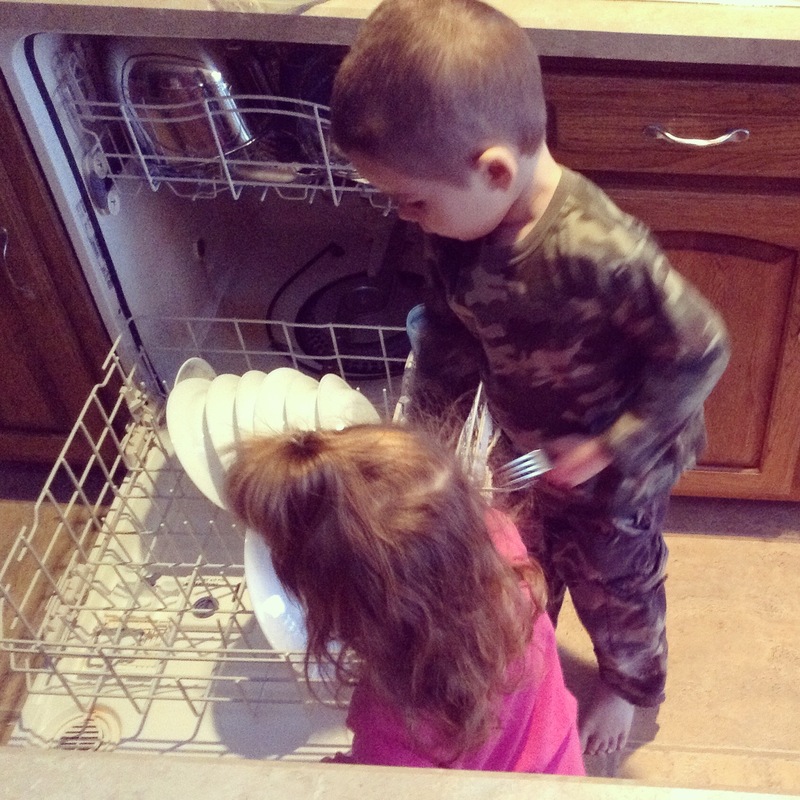 My ultimate goal is to help things to run more smoothly so I have more time to focus on my family each day. So simple … yet so impossible without His grace and forgiveness. We’ll see where this blog goes. I hope it can be an encouragement to you. I’d love to read your comments!